Genetics majors are interested in understanding how DNA, along with the environment, encodes traits like hair color or high blood pressure, and how these traits are inherited or regulated. Genetics encompasses topics like molecular genetics, evolution, genetic engineering and bioinformatics. The faculty strongly value hands-on learning and many students conduct undergraduate research under faculty supervision in our state-of-the-art research laboratories. Graduates are prepared for successful careers in the biotechnology fields or for entry into graduate school or health professional programs. 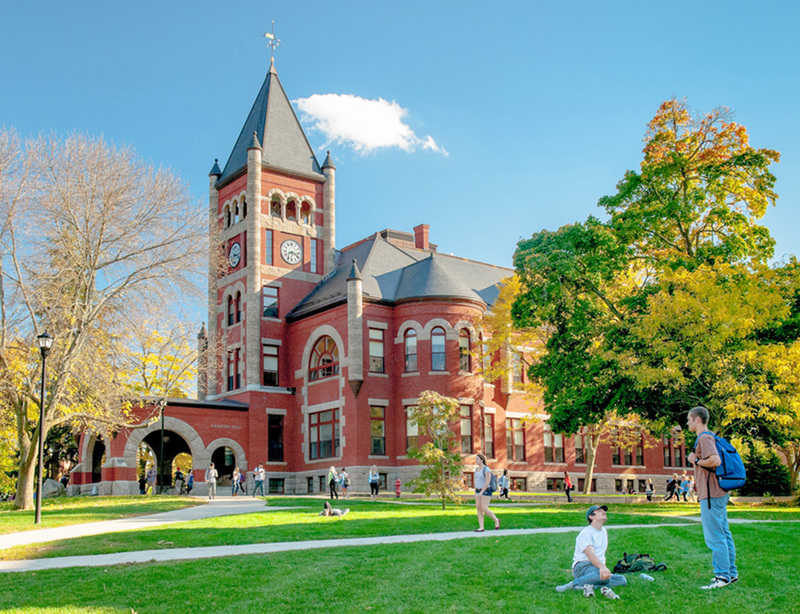 Why study genetics at UNH? 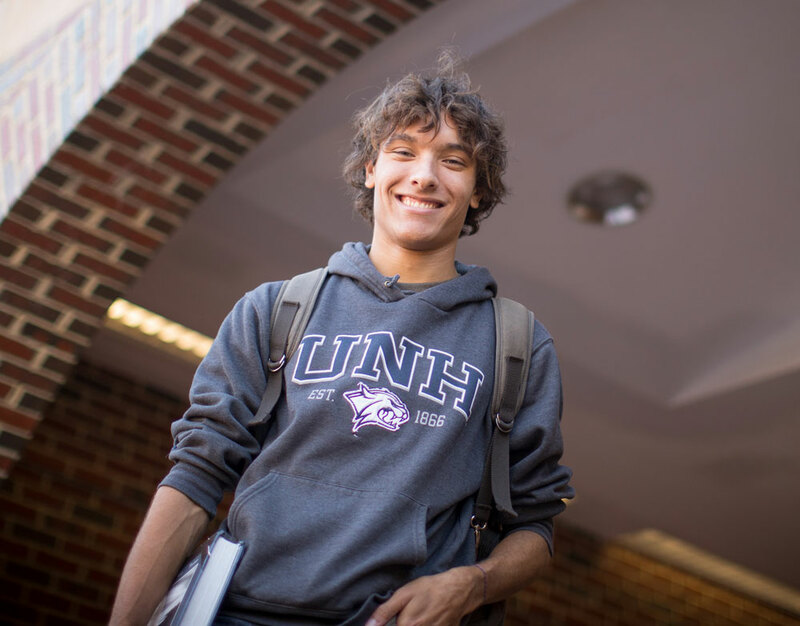 UNH has one of the few dedicated genetics majors in the United States. Students in the genetics degree program interact with faculty committed to excellence in teaching, research and student advising, and our teaching labs provide hands-on training in current research techniques. Our faculty conduct research on diverse topics including evolution, gene structure and function, host-microbe interactions, genome sequencing and analysis, heredity and diversity in populations. There are many opportunities for students to work in faculty laboratories and present research at scientific conferences on and off campus. The Genetics and Genetics:Genomics programs (GEN) explore the world of genetics and genomics in plants, animals, and microbes. Genetics majors are interested in understanding how DNA, along with the environment, encodes traits as simple as hair color, to more complex traits like high blood pressure, diabetes, and mental illness. The Genetics faculty strongly value hands-on learning and many GEN students conduct undergraduate research under the supervision of our faculty. GEN graduates are prepared for successful careers in the biotechnology fields or for entry into graduate school or health professional programs. Students majoring in genetics take seven Foundation courses, six Bioscience Core courses, four Genetics Core courses and four Major Elective courses. One capstone experience, supervised and approved within the major, is required of all seniors. In addition, all other University requirements must be completed, including those for the Discovery Program and the University Writing Requirement. A grade of C-minus or better required in Statistics and all Biological Science Foundation, GEN Core, and Major Elective courses. A total of four unique major electives is required: one course from the laboratory-based major elective group, one course from the population genetics or evolutionary genetics major elective group, two courses from the bioscience major elective group. The capstone explores areas of interest based on the integration of prior learning. The capstone requirement may be satisfied through a course, a created work or product, or some form of experiential learning (e.g., honors thesis, mentored research project, or other approved student activity). The capstone requirement can only be fulfilled once a student has senior standing in the major. Submit a Capstone Approval form prior to beginning the experience. Students applying to health profession schools need a full year of English, a full year of Introductory Biology, and a full year of Organic Chemistry. ENGL 502 or ENGL 503 should be taken in addition to ENGL 401; CHEM 651/CHEM 653 and CHEM 652/CHEM 654 should be taken in place of CHEM 545/CHEM 546. See Pre-Professional Health Program Advising. Students who take GEN 704 to fulfill the Genetics Core requirement may also count it toward their Laboratory Techniques requirement IF they take one additional Bioscience Major Elective course. GEN 704 can count as a Genetic Core course or a Bioscience Major Elective course but not both. GEN 771 can be used as a Genetic Core course or Bioscience Major Elective but not both. Must be a laboratory-based project with a genetics focus; submit approval form prior to beginning the course. Capstone research project must have a genetics focus. Click here to learn more about Capstone experiences.